ATLANTA, March 12, 2019	(Newswire.com) - Top Marketing Agencies Report evaluates more than 3,200 marketing agencies based on Agency Spotter's proprietary research methodology. This report takes a broad look at marketing agencies from around the world. While many of the agencies may focus on marketing, the top marketing agencies in this report all have strategy as a core capability, and many also lead in-house advertising development. These top marketing agencies work with some of the world's most outstanding companies including Capital One, Comcast, IBM, Nike, and P&G. 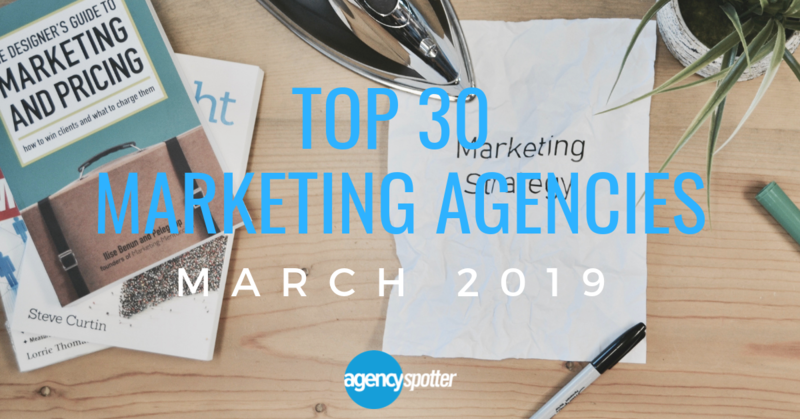 Modo Modo Agency placed first on Agency Spotter's Top 30 Marketing Agencies Report for March 2019. This agency is an award-winning 2017 & 2018 Inc. 5000 company and a winner of 2017 Atlanta Best Places To Work. They are passionate to solving business problems in practical ways through marketing. Based in Atlanta, GA, Modo Modo Agency spans strategy, marketing, advertising and branding. Their drive for proprietary, strategic marketing has earned the trust of their clients. This agency delivers results with a belief to sell and grow like mad. Anson W. Martin, VP WW Sales & Marketing of Palladium Energy​ states, "I really like how they helped us to stand out 'big time' from the crowd...extremely creative!" Modo Modo Agency's clients include 48in48, Coca-Cola, Rsam, and Valpak. Red Rock earned second place on this Top 30 Marketing Agencies Report. Located in New Haven, CT, this proven agency is known for their collaborative teamwork, keen attention to detail, and efficient use of technology which has led to several award-winning campaigns. Their services include branding, marketing strategy, and content marketing, all of which are applied in nonprofits, health and wellness initiatives and small to mid-sized businesses. Some of Red Rock's clients include G&H Equipment, MindMap, NYC TCTTAC, and Vespoli. A B2B marketplace and SaaS provider, Agency Spotter connects marketing decision makers with top marketing agencies across advertising, design, digital, and 41 marketing services in all. Attracting small, medium, and global enterprises, Agency Spotter is the world's top independent choice for agency search, selection, and agency management. Agency Spotter's website maps the marketing services industry landscape, making it easy to use more information, like verified client reviews, to build a shortlist and select the right agency partner. For more information or to search for your next digital agency partner, visit agencyspotter.com.